“Imagine a roller coaster… but in the dark!” This was the feverish whisper passed amongst us first-graders. The biggest, baddest, and scariest theme park experience was none other than Space Mountain. And if you were a first-grader who got to ride it, and lived to tell the tale, you were basically a hero. And everyone wants to be a hero. I reached Space Mountain at the holy grail of vacation destinations -- Walt Disney World -- when I was in first grade, but here’s the kicker: because of the heart condition I was born with, I couldn’t ride on roller coasters. It was a crushing blow to my young ego. But I got my hero moment three years ago when my cardiologist cleared me for all rides. Finally, at the age of 28, I got to whoop, squeal and scream on every single ride at Walt Disney World. Since then, I’ve morphed into a Disney super-nerd, planning each vacation months in advance and strategizing how to best use FastPasses. And the first rule of FastPasses is that you have to know which rides you absolutely cannot miss. 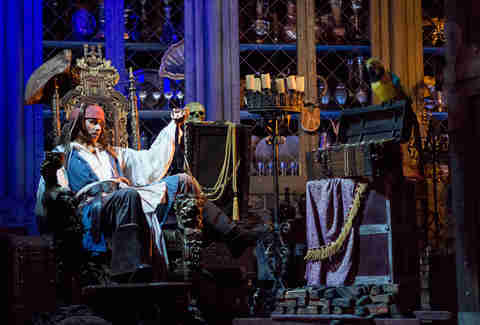 So take it from me, these are best rides in Magic Kingdom, Epcot, Animal Kingdom, and Hollywood Studios. Based on California’s legendary Winchester Mystery House, the Haunted Mansion is a delightful and not-too-spooky romp through the afterlife. Your visit starts in the Stretching Room, which belies the fate of the foolish mortals who’ve crossed the Mansion’s threshold before you. 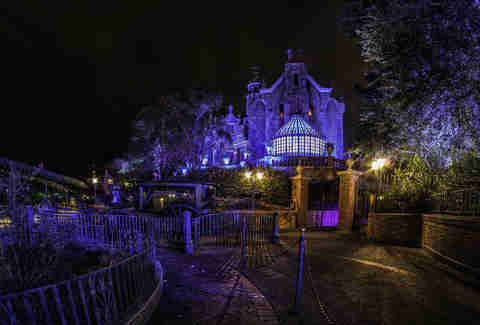 From there, you’ll strap into a doom buggy and explore the creepy rooms and grounds with “999 spooks, and room for one more.” This nearly-50-year-old dark ride features classic Disney Imagineering in the Great Hall’s waltzing ghosts, Madame Leota’s Seance Room, and the hitchhiking ghost who follows you home. Space Mountain’s iconic, pointy exterior looms high above Tomorrowland, taunting all those who haven’t yet dared go inside and ride the pitch-black thriller. It’s not the fastest ride in the world, and appropriate for riders of all ages, but the fact that you’re enveloped in complete darkness and can’t see where you’re going heightens the scare factor. On the plus side, nobody will see the look of terror on your face. It’s not the biggest or brashest roller coaster at Disney World, but Big Thunder Mountain Railroad packs a punch. The rickety locomotive races through an abandoned (and it turns out, haunted) mine shaft in the nearly 200-foot mountain. With just enough dips and hairpin curves to please riders large and small, this is an essential Frontierland attraction. This animatronic boat ride through Asia, South America, and Africa is as much about the skipper’s comedic narration as it is about the wild and wonderful scenery. Each tour is led by a different guide, but no matter who’s at the wheel, expect the best kind of groan-worthy jokes, bad puns, and a generous helping of self-deprecation. Come for the backside of water, stay for the confused looks worn by first-time riders. This interactive, carnival midway-inspired attraction is as much a game as a ride. You and your seatmate are armed with laser blasters and sent careening through outer space with Buzz, while shooting targets to defeat the evil Emperor Zurg. To take your score to infinity and beyond, control your ship with the center joystick and sneakily prevent your partner from getting points. Anyone wanting to indulge their Finding Nemo fanaticism should look no further than the 5.7 million gallon Epcot SeaBase aquarium. After boarding your clam-mobile, you join Dory and friends to, you know, find Nemo. But what ocean search is complete without shark encounters, Crush the sea turtle, and a near-death experience with an angler fish? 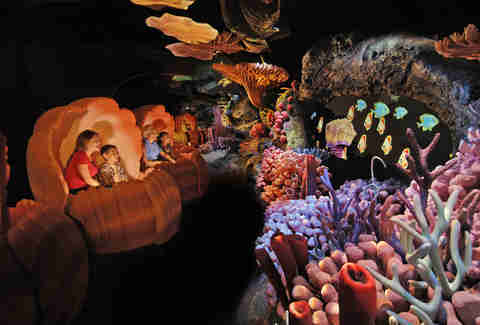 The best part is at the ride’s conclusion (spoiler alert) when special effects make Nemo and friends magically appear in the actual aquarium. While you’re there, make friends with SeaBase’s full-time residents, including manatees, clownfish, dolphins, and cuttlefish hatchlings, among other creatures of the deep. Build the concept roadster of your dreams, and then take it for a spin on the titular test track. You’ll bump, swerve, and screech your way through the Tron-like obstacle course before heading to the outdoor race track for a face-warping lap at over 70 mph. After each segment, the car you designed is ranked against the rest, with an overall champion crowned at the end. Pro tip: don’t spend too much time building your vehicle, even though it’s tempting to fine tune it with all the engine, bodywork, and paint-job options available. This indoor dark ride takes you on a tour of the world, hang-glider style. Prepare to soar above the Earth, feet dangling in the air, and watch the sights unfold on a brain-tricking wraparound Imax screen. Drop in on the Great Wall of China, get up-close with Iguazu Falls, and stop by Sydney Harbor on this gentle, globe-trotting trip. 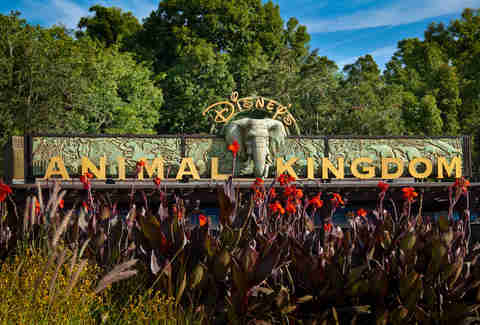 Best enjoyed in warmer weather, this attraction takes you on a tour of the impressive Animal Kingdom zoo. Modeled after the African plains with long grasses, rock formations, and giant termite heaps, you’ll get up-close and personal with lions, crocodiles, elephants, giraffes, and co. The driver of your caravan has got stacks of knowledge about each animal and their behaviors -- you know, the ciiiiiircle of liiiiiiiife and all that. There’s only one roller coaster in Animal Kingdom, but oh boy it’s a good’un. 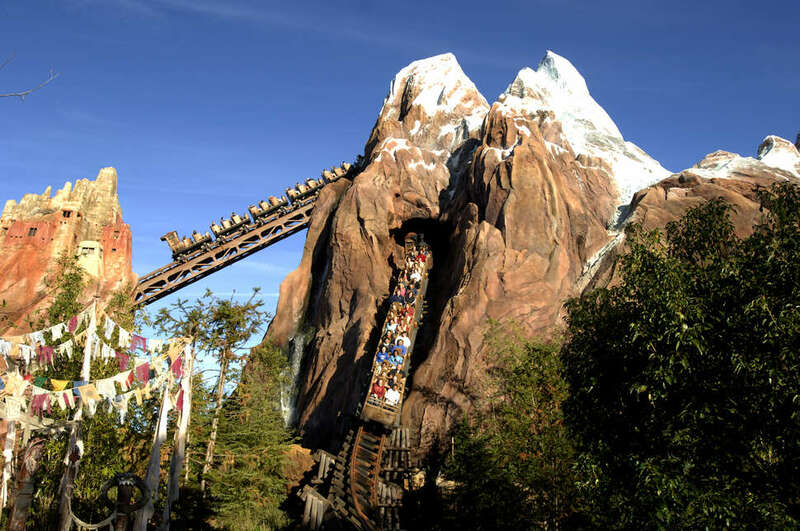 Expedition Everest takes you on an ill-fated expedition to the world’s tallest peak, loosely following the myth of the terrifying yeti. Be prepared for things go very, very wrong when you hit a broken piece of track, and no matter what, watch out for the abominable snowman! Dinosaur is a dark ride in the vein of Jurassic Park, but instead of a modern-day dino park gone berserk, this ride has you jump into a jeep and take a madcap joyride through prehistory. Your mission? To save the iguanodon before the world-ending meteor strikes -- and the only way to succeed is by bringing it back to the present. 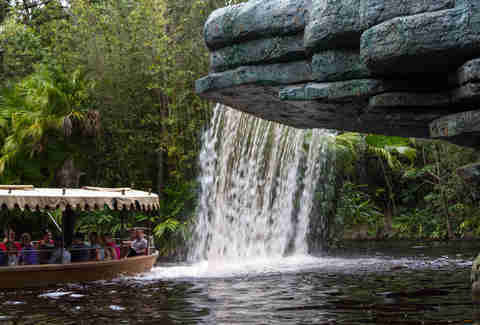 If the bumps and jolts feel familiar, it might be because this ride was built on the very same track used for the Indiana Jones ride in California’s Disneyland. The oldest attraction in Hollywood Studios, this stunt show takes you behind the scenes of Raiders of the Lost Ark. Executive-produced by George Lucas, the show features trained stunt performers playing Indy, Marion, and the various soldiers and townspeople of Cairo. Even though it’s not a ride, the Stunt Spectacular has it all: pyrotechnics, hand-to-hand combat, the Temple of Doom, and some pretty epic audience participation. You’ll walk out of the theater with a new appreciation for old-school movie magic. Expanding on the interactive Buzz Lightyear concept in Magic Kingdom, Toy Story Mania is a true carnival-midway gallery with 3-D integration. After donning 3-D glasses, you and your seatmate use cannon blasters to compete against each other in a series of games featuring Toy Story characters. When entering and exiting the ride, keep your eyes peeled for the old-school toys and games from the movies (Barrel of Monkeys, anyone?). 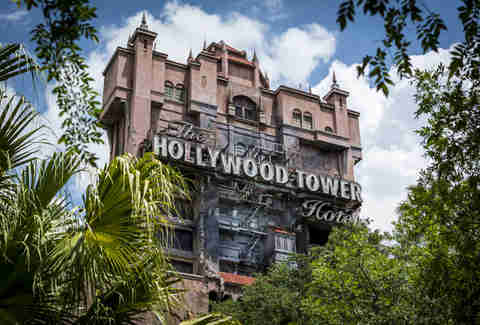 The seminal Twilight Zone-themed haunted elevator ride is a must-do for any Disney devotee. Located in Sunset Boulevard, the Tower is a 1930s hotel run by bellhops mourning the golden days of Hollywood. Boarding the elevator takes you through the Fifth Dimension, as described in the TV show’s opening credits, before dropping you over and over again at stomach-churning speeds. The ride runs on a software randomizer, meaning no two experiences are exactly alike -- which is all the reason you need to go more than once. Daredevils should take the center seat in the back row -- trust me. Existing way before the Episodes 1-3 and way, way before construction began on Star Wars Land, Star Tours takes you on intergalactic adventures throughout the Star Wars universe. Your ship, captained by C-3PO and R2-D2, is supposed to be a leisurely cruise past planets and moons, but it doesn’t quite work out like that. Soon enough, your itinerary is disrupted and you’re on a breakneck journey in that galaxy far, far away. Lisette Voytko is a journalist living in Brooklyn, New York. Her byline has appeared in The Video Game History Foundation, Museum Hack, Task & Purpose, xoJane, and Femsplain, among others. She is currently pursuing her M.S. at Columbia Journalism School. You can find her on Twitter.